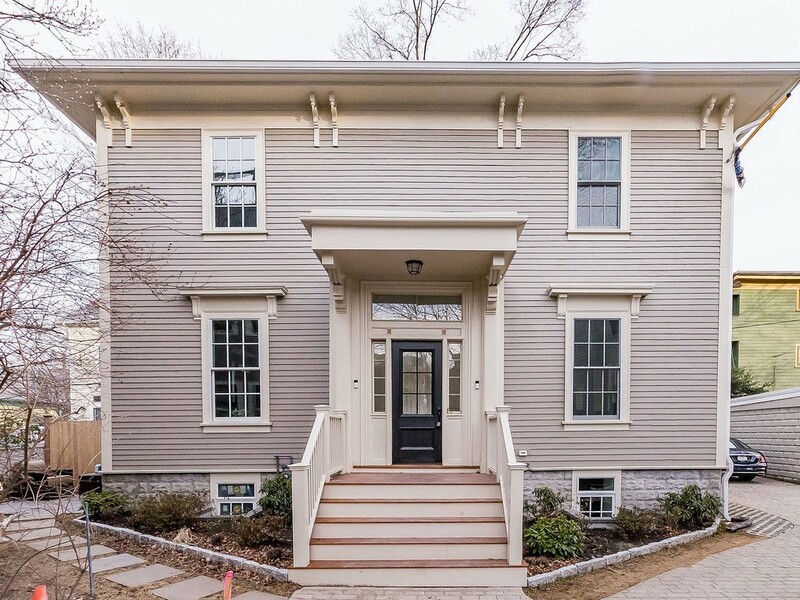 Don't miss this rare opportunity to own a newly renovated exquisite townhouse on one of Cambridge's most desirable streets. Harvard Sq is 7 minutes walk away. Meticulous care was taken to create a high-end modern unit with quality finishes and impeccable craftsmanship throughout. This distinctive condo offers unique open-concept Fl plan with sun-flooded living/dining spaces, 11' ceilings, over-sized Pella Historic Series windows, a service bar with wine chiller, and a custom gas fireplace. The open-concept kitchen has high-end Jenn-air appliances, custom cabinets, granite countertops, and a commercial hood. The 2nd floor has two bedrooms, each with en-suite baths. The lower level has a family room, a bedroom/study, and a full bath. There's a private, fenced-in, landscaped patio accessible from the 1st floor. Additional amenities include: 3-zone Nest central heat & a/c, in-unit laundry, Navian tankless hot water, and a smart home security system. Includes exclusive-use area for.